Hi! Welcome to part two of a three part series I’ll be doing about teaching money in the primary classroom. Today I’ll be discussing ways to reinforce money with mixed coins. 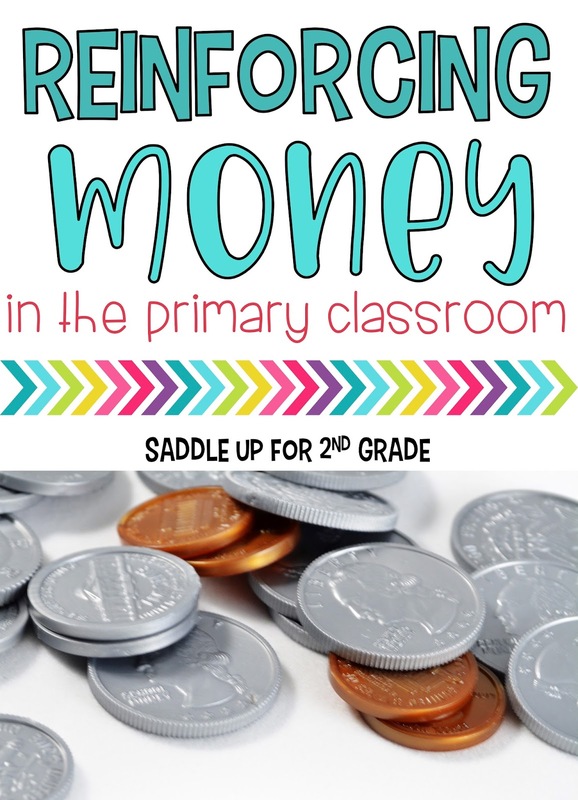 If you’d like to check out part 1 of this series that is all about introducing money in the primary classroom, you can click here. This post contains affiliate links. You can see my disclosure here. 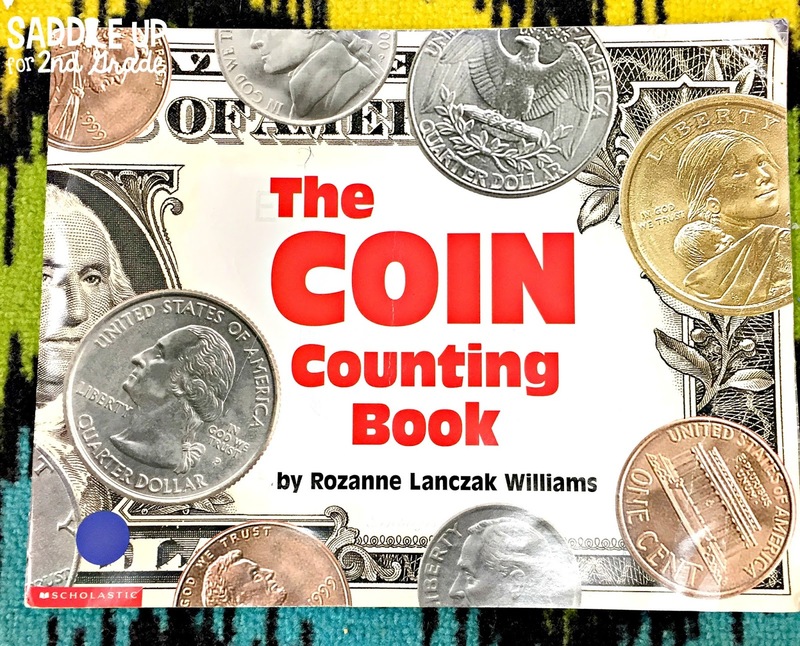 We started out by reading The Coin Book by Roxanne Williams. It is a perfect introduction for reviewing coin values along with counting values of mixed coins. 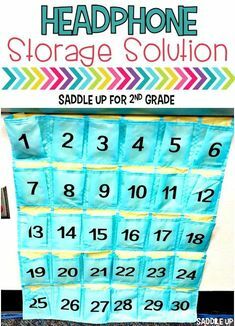 You could also use this book to wrap up a unit too. 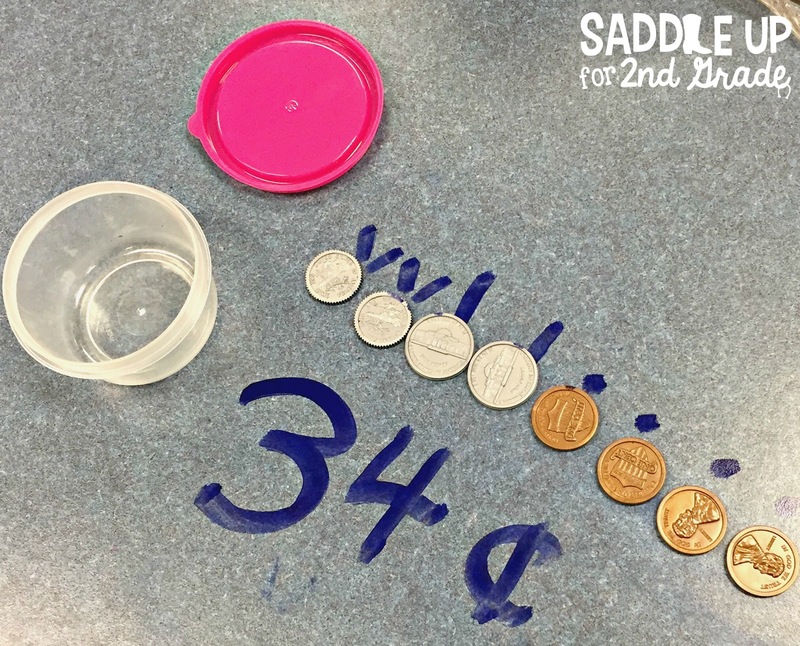 When we are first starting out with finding the value of mixed coins, I want to make sure I give my kids lots of exposure to manipulating coins. This is where money cups come in. I’ve blogged about these in the past. 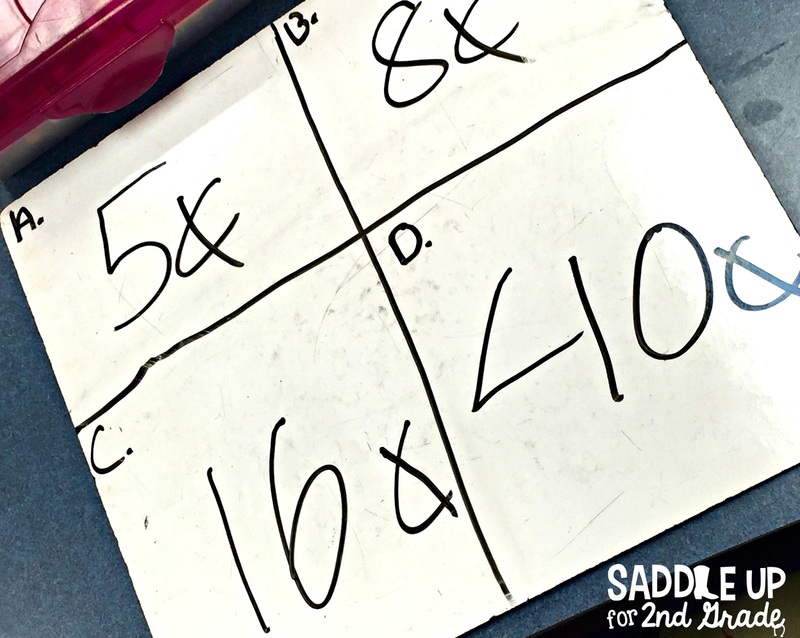 Click here to read more about them and grab a free recording sheet for centers. 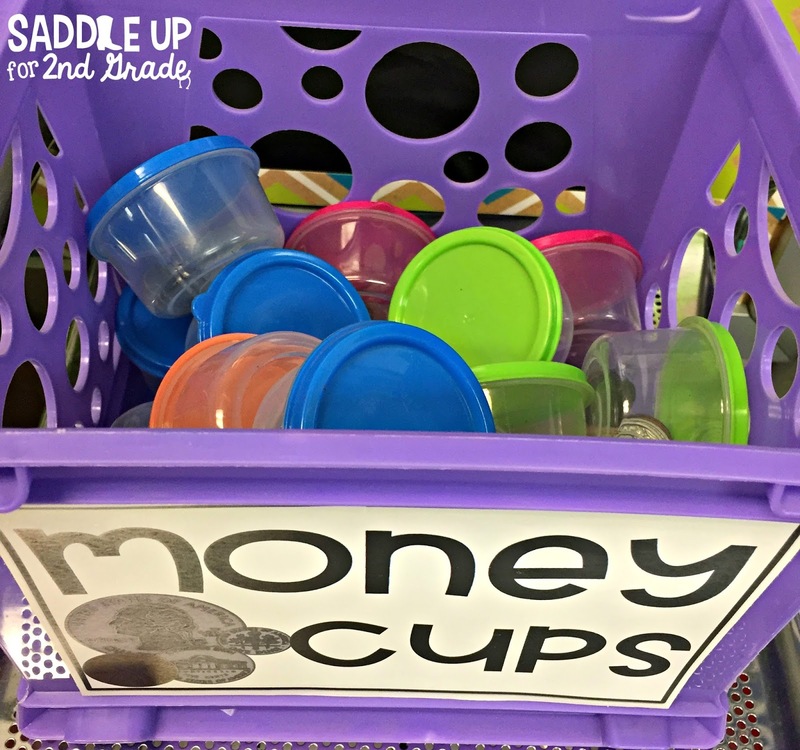 Money cups are the perfect way to differentiate your instruction. Grab some small containers. I found these with bright lids at Family Dollar for a couple of dollars. Inside each container is a random assortment coins up to $1.00. You can use any mixture of coins you’d like based on the needs for your kids. I have some that contain only dimes, nickels, and pennies while others have quarters in them too. I’ve even used half dollars for my higher level kids. We started out by playing a game similar to scoot. 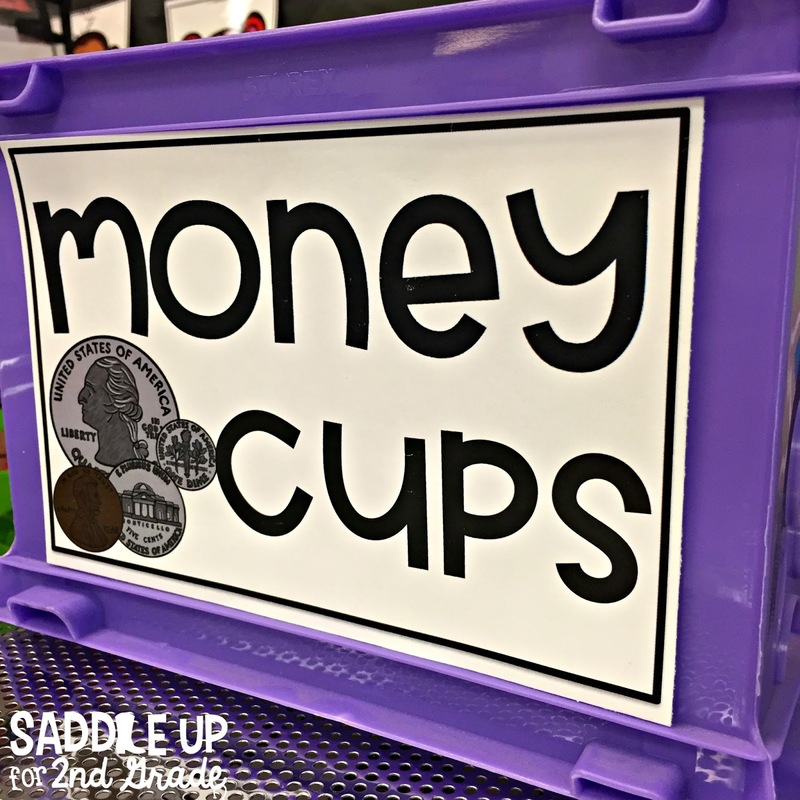 I gave each table group a set of money cups. They were to dump their coins out onto their desk and put them in order from greatest to least in value. Then, drew hairs to count and find the value if needed and wrote the value two different ways. 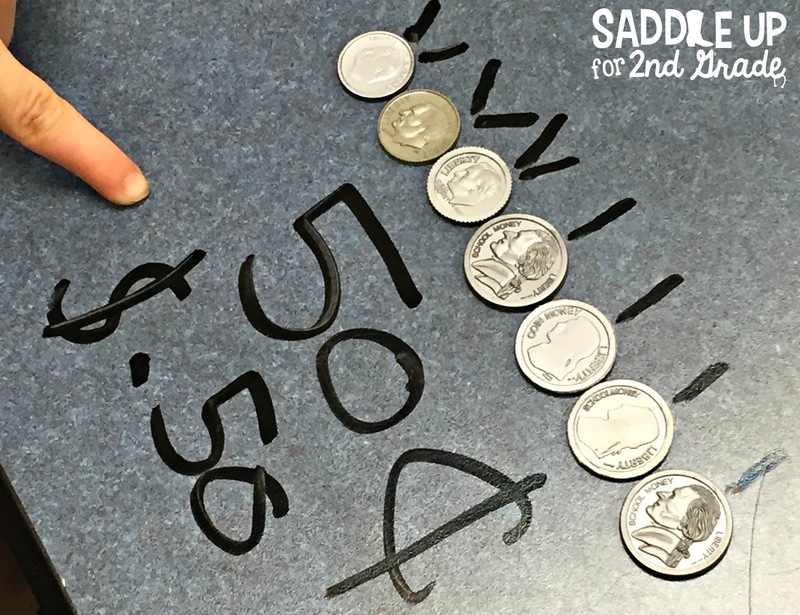 If you’re not familiar with the hairy money method for teaching coins, click here. Once they found the value, I did a quick spot check and then they would put all their coins back in the cup and trade with someone at their group. 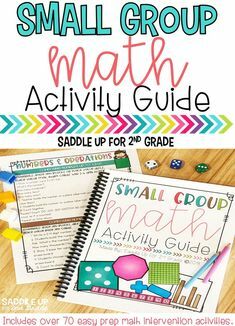 This is also a perfect small group activity. 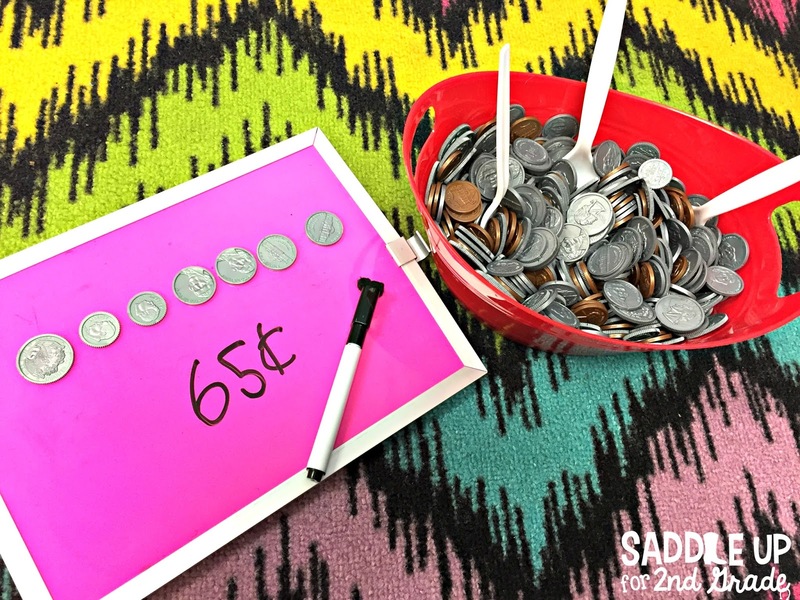 Speaking of small groups, this is my favorite hands on activity when it comes to money. It’s called Scoop and Count and the kids LOVE it! 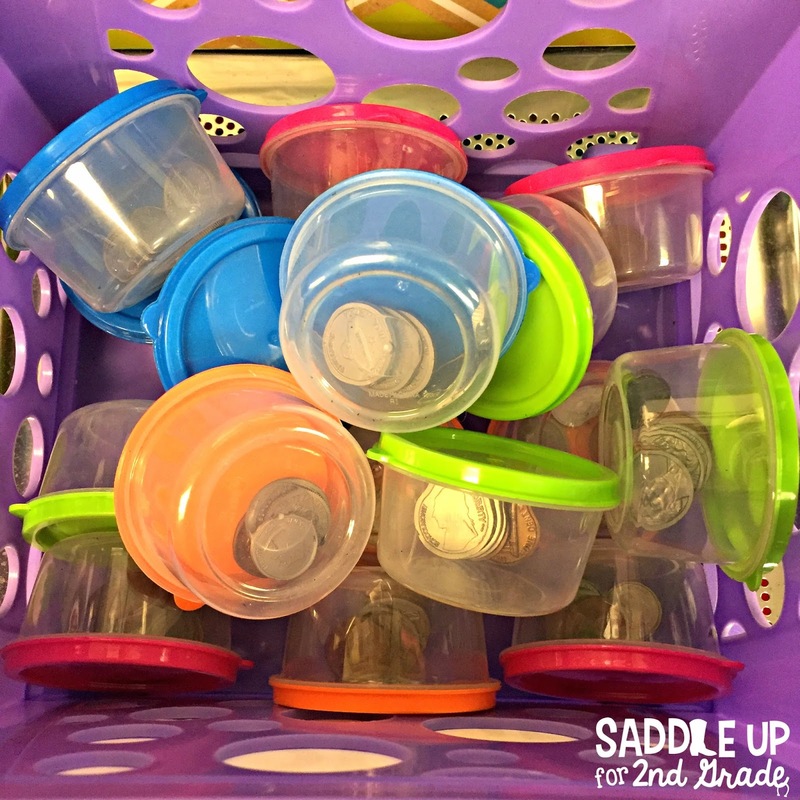 Dump a random assortment of coins into a larger container. 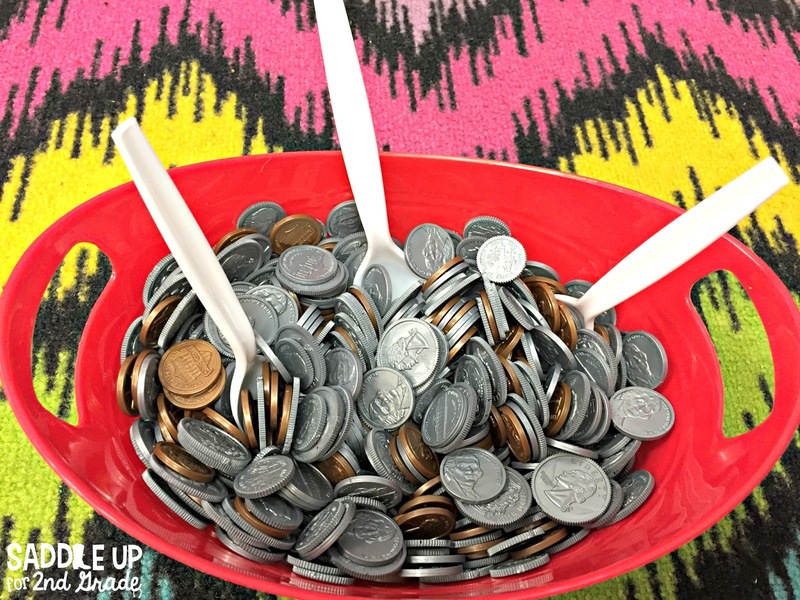 Use spoons to scoop (only one) coins onto their table. Have them put the coins in order from greatest to least in value then write the number multiple ways. The larger the spoon used, the more coins they have to count. I also only let them get one scoop. Keep reading to find out how to get an exclusive freebie that goes along with this game! 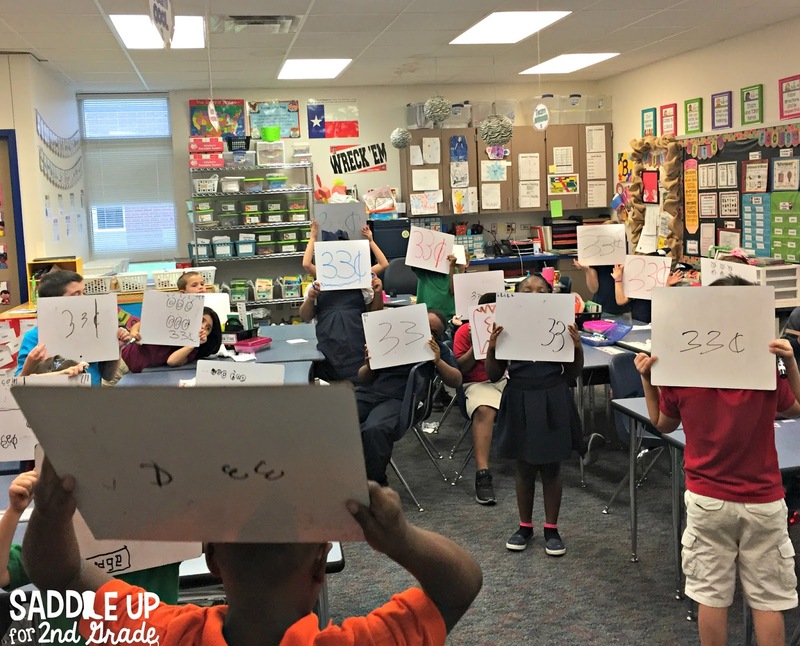 Another low prep games that I like to play is called Roll, Add and Count. 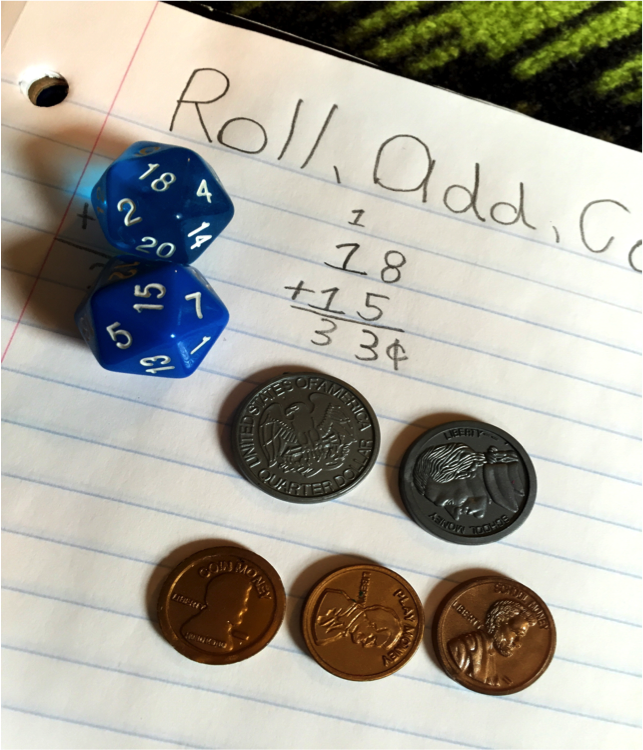 Using dice, have them roll two, add the numbers together and then create the value that they made using any mixture of coins. I bought this pack of dice off of Amazon that comes with all types. 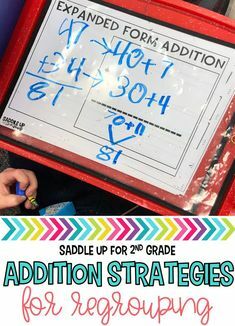 This is another great way to differentiate to meet the needs of your kids. 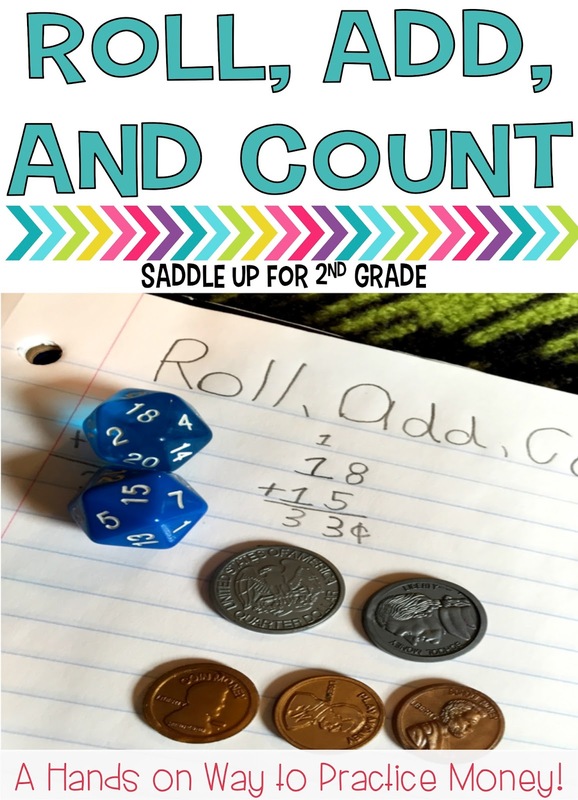 You could also have them roll one, two, or three dice to find different sums. 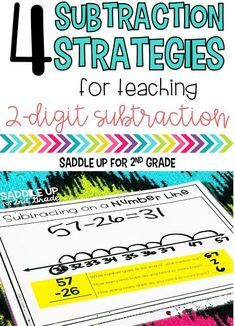 Subtraction or even multiplication would work too! Click here to see them on Amazon. Once I felt comfortable that they can recognize and count coins properly, I move towards using paper money. 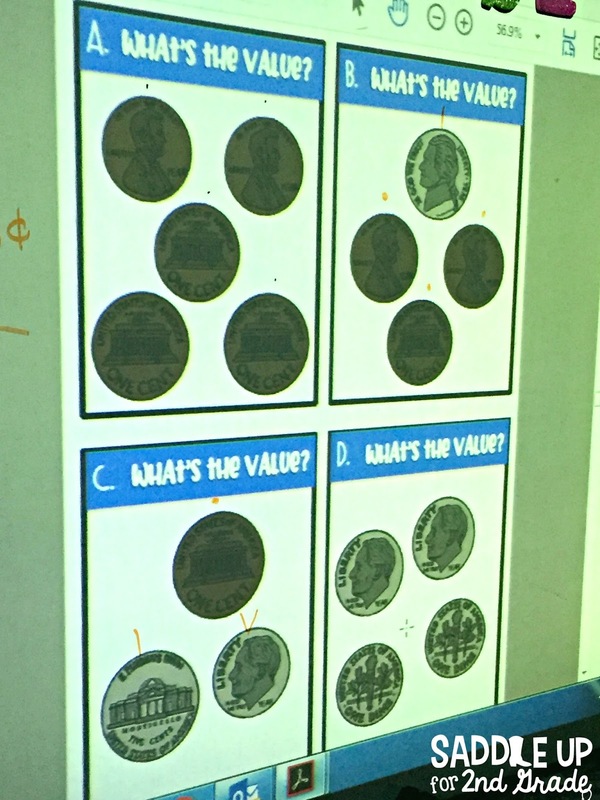 We used this interactive journal activity to sort values of mixed coins greater and less than 50 cents. They wrote the values on the back of each strip and then sorted them into the correct pockets in their math journal. I’m all about low prep activities. The less paper I have to use, the better. I displayed these task cards from my money unit (sorry for the dark photo, I snapped this when the room as dark). Then the kids divided their white boards into 4 sections and labeled them with the same letters of the cards shown. We worked together to find the values of each box. They could draw the coins on their board if needed but most would just write the value. I’m big into using our white boards if you haven’t noticed that yet. 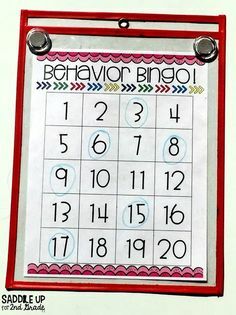 Another favorite to use ABCYA.com and play money bingo whole group! You can select the set of mixed coins that you’d like to use. As they are shown, the kids write the value on their white boards. 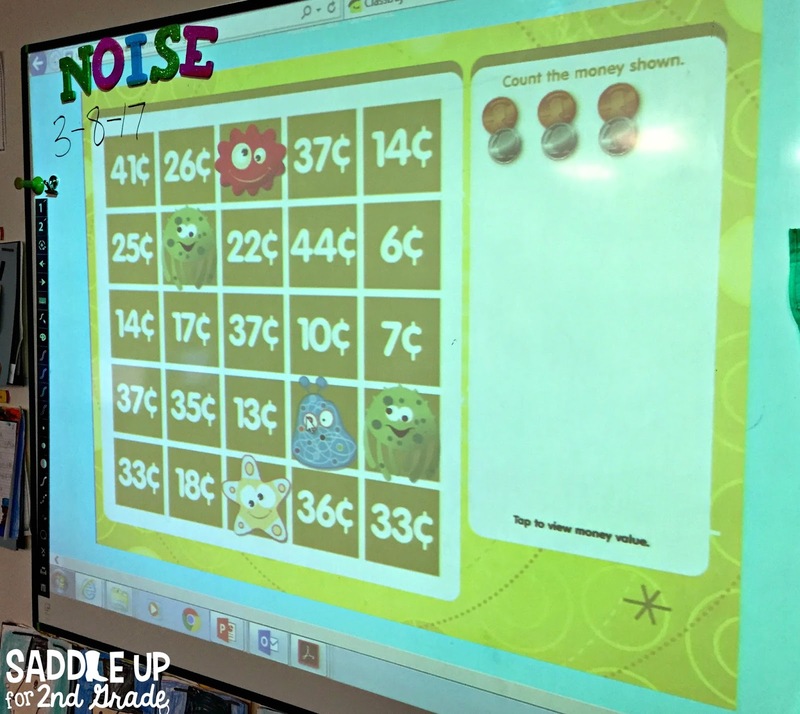 When I say showdown, the kids show me their boards and I check to see who got it right and who got it wrong.We then count the value together and select it on the bingo board. 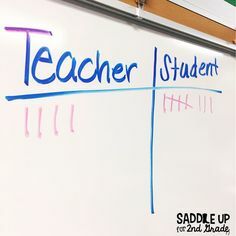 If they get it right they get a point on their board! Let them get a point and they’ll be excited about anything! We play until we’ve made a bingo. Sometimes its goes quick so we can play multiple games. To wrap up our unit, they made these cupcake crafts to show what they’d learned. I let them pick any value under a dollar and they created it on their cupcake and wrote the value. You can find these in my money unit. I hope this gave you some ideas to use with how to reinforce money. Part 3 of this series will be up SOON! 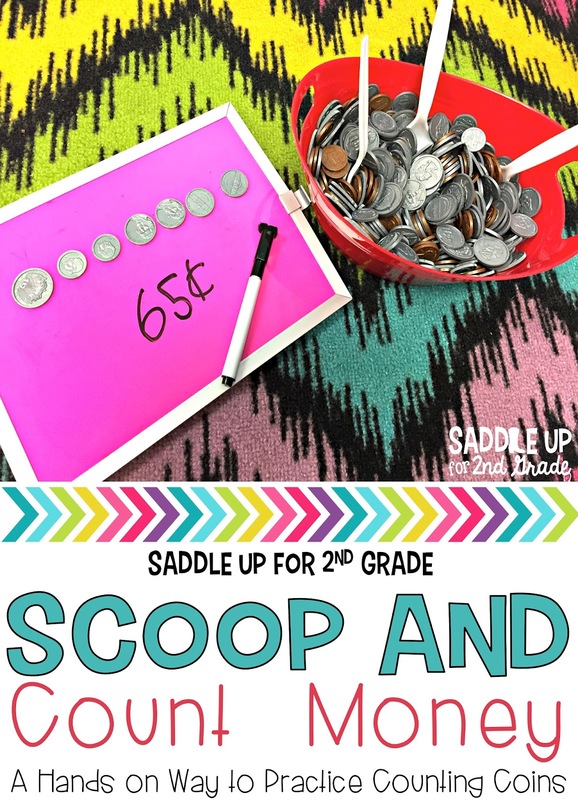 It will be all about books you can use to go along with your money unit. Since you’ve been so gracious and stayed with me through the end of the post, I’ve got a special treat for you. 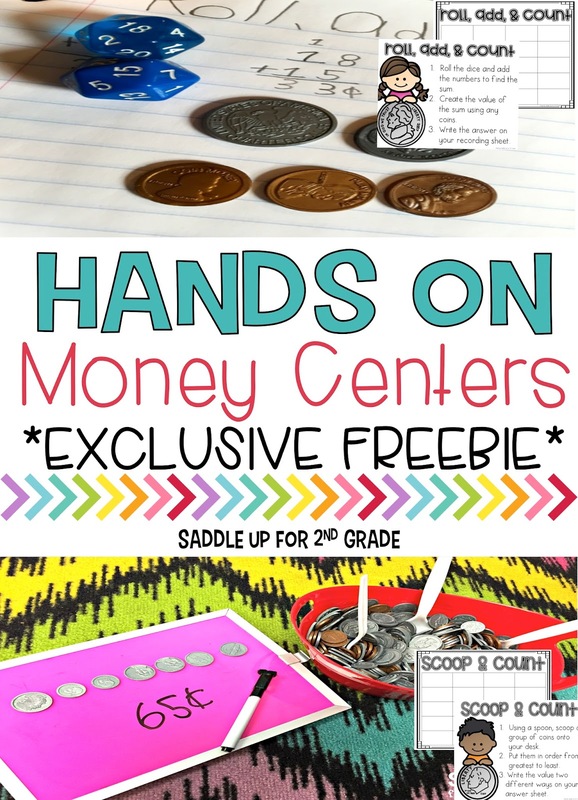 Click HERE to grab an exclusive money FREEBIE! These are center directions and recording sheets to go along with the Roll, Add, and Count and Scoop and Count games that were mentioned above.